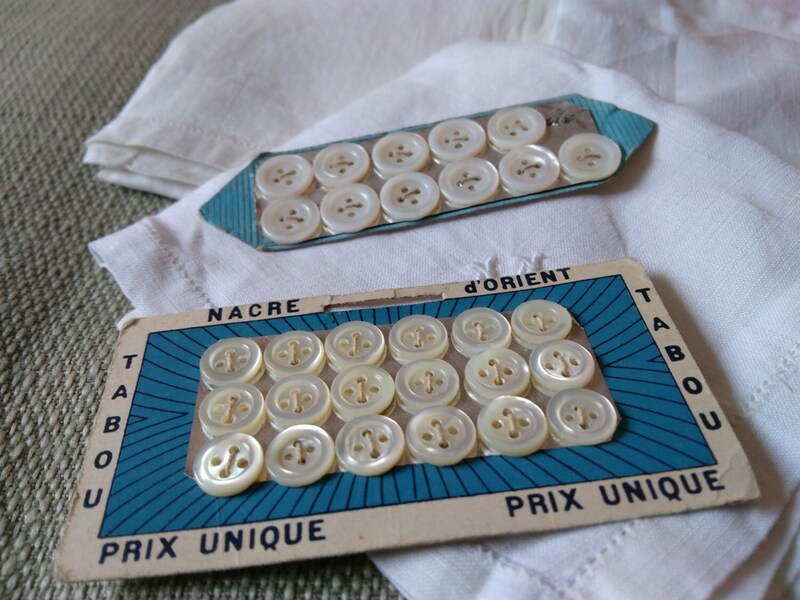 1930's White French lingerie or shirt buttons on 2 cards . 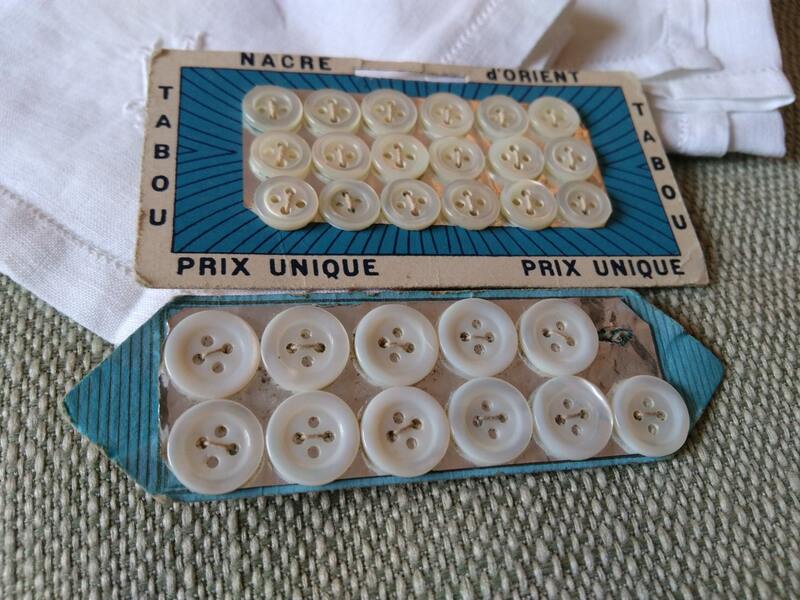 Gorgeous set of 29 Unused buttons on 2 cards. 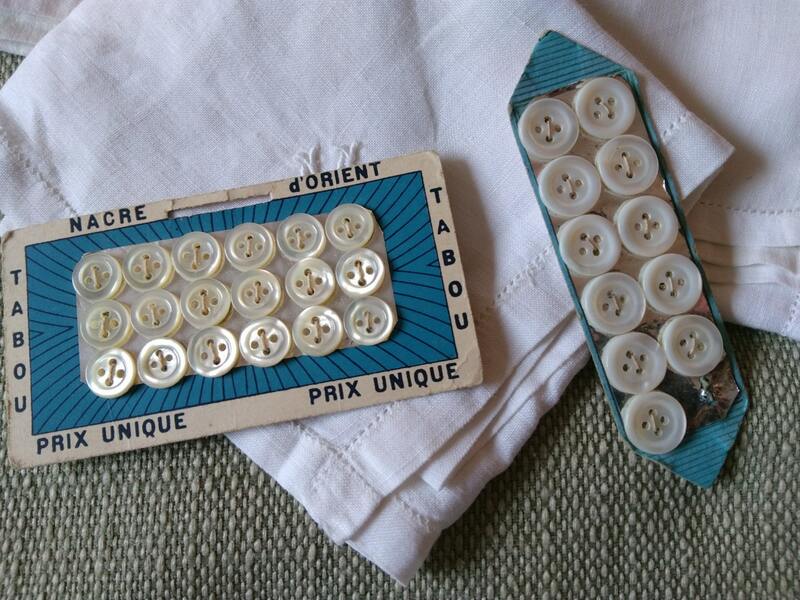 White buttons made of Mother of Pearls. 11 x Size = 0.3 in. 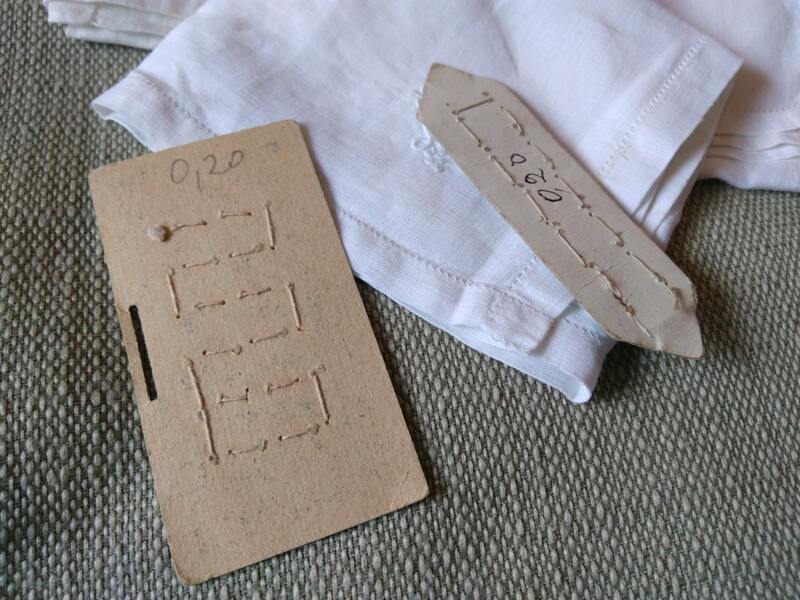 = 0.76 cm. 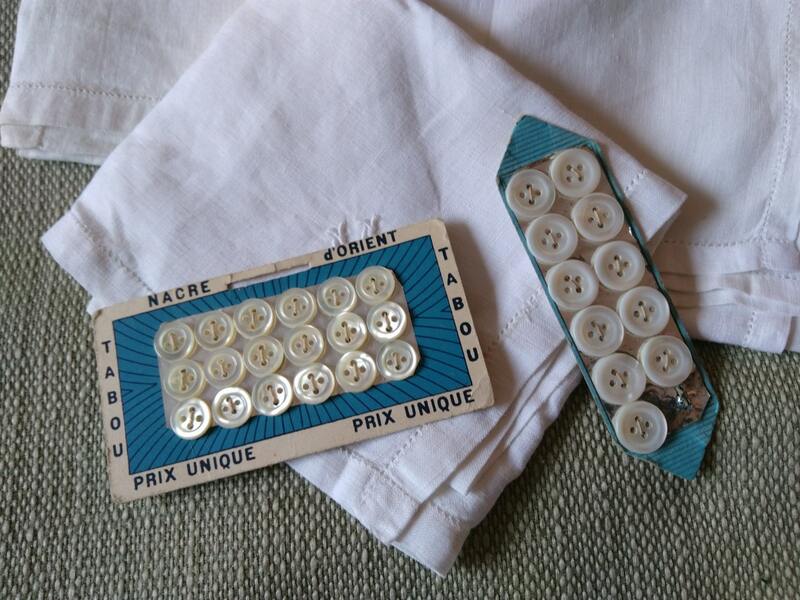 Lovely set of 29 white French lingerie buttons on 2 cards !